173 - temporary visa permitting the holder to travel to, enter and remain in Australia for 2 years . 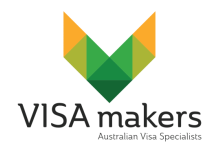 143 - Permanent visa permitting the holder to travel to and enter Australia for 5 years after the date of grant. 143 - the applicant may be in or outside Australia when the visa is granted. Meet both the health and character criteria.